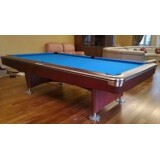 Table size : 9ft Come with Standard Accessories .. Copyright © Cue Station. All Rights Reserved.